There is no treatment of dengue itself, only a treatment of the symptoms. Dengue gets defeated by the immune system of the body, but that is after it has caused damage. Most whose lives got claimed by dengue haven't been treated for the fatal damage at the right time. Frequently, the cause of death is seeking medical attention too late or misdiagnosis. So dengue deaths are the cause of ignorance and taking the disease for granted. Too often people bring in patients in a really bad condition. Bad move. Vigilance works this time. But even if dengue is around, do not fear! Papaya is here! 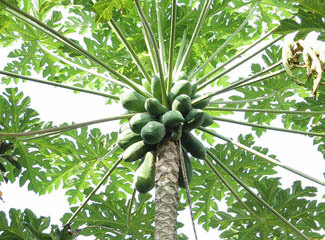 It has been years now that the first testimonials of papaya leaves helping dengue patients has surfaced. Now, more and more people are trying it out. I do not advocate the SOLE USE of papaya leaves for dengue. There are no 100% guarantees, but the accounts of people who recovered from dengue with the help of papaya leavs is astonishing. REMEMBER, use papaya leaves juice with close monitoring of a physician. The doctor's role here is to make sure we are not missing out anything that could compromise treatment. Of course doc wouldn't say use it. He'd run out of patients. Since it is not clinically approved, there is no proven dosage requirement for the cure. Most resources quote 2 tablespoons of the leave's juice once or twice a day. To prepare is very simple. Just wash the leaves, pat dry and squeeze. It should taste awful, but very helpful. Perhaps the reason why papaya leaves juice is very effective is because of the fact that it boosts the blood platelet count of the body. The blood platelet count gets low if one gets dengue. Since severe dengue causes hemorrhage and the blood platelet has properties to make the blood clot, more blood platelets can help stop the bleeding. Therefore, a word of caution to those who want to use papaya leaves for dengue, don't use excessively because there is the probability of making the blood clot unnecessarily. I have to say, nature has its way curing maladies. There is even another plant called tawa-tawa or gatas-gatas claimed by many as helpful as papaya leaves. This humble herb grows anywhere and are very accessible. Davao researchers are said to have proven its effectiveness in combating the illness so its worth a try. Boil a couple of leaves including roots, serve as tea to the afflicted 3-4 times a day. Too many people have died needlessly to dengue, yet all around us there is help. Would you even believe that camote tops are being used to help dengue patients? 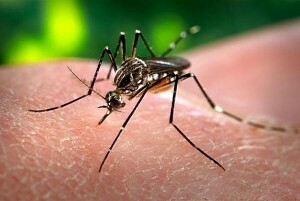 Now why are there still Filipinos dying from dengue? Prevention is better than the cure. Click here to read about dengue prevention.